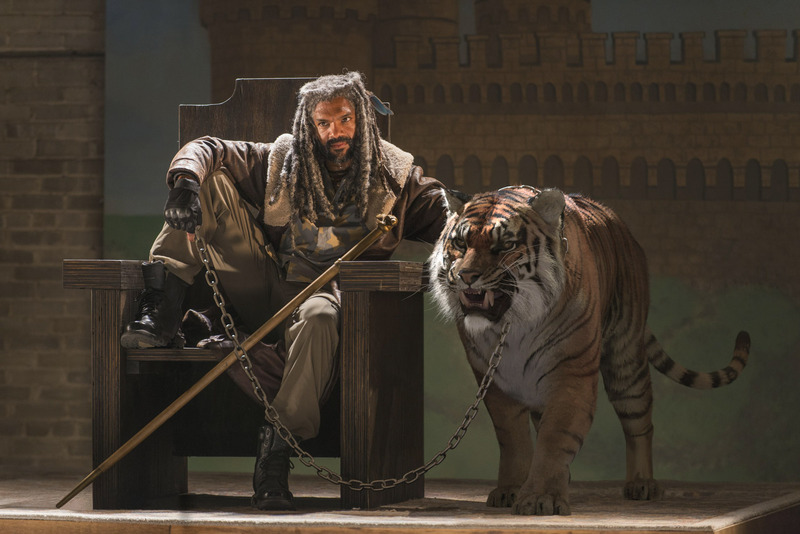 The Walking Dead - Ezekiel and Shiva. . HD Wallpaper and background images in the 워킹 데드 club tagged: photo the walking dead season 7 ezekiel 7x02 shiva. This 워킹 데드 photo contains 호랑이 새끼, 타이거 새끼, 벵갈 호랑이, and 벵골 호랑이. There might also be 호랑이, 표범 속 티그리스, 동굴 티그리스, 암펌, and 호랑이.